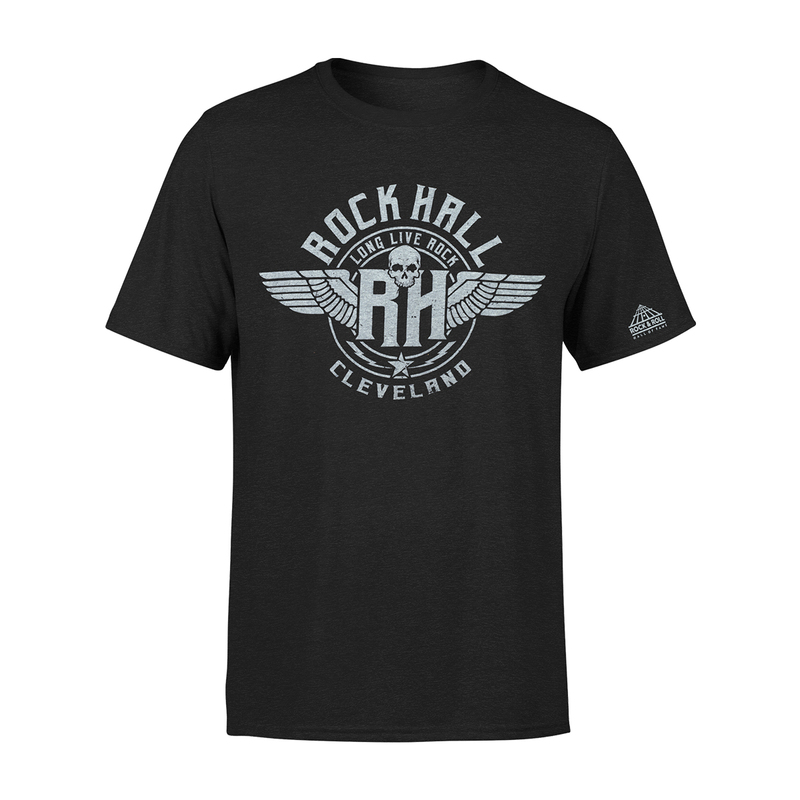 Winged Rock Hall graphic on a heathered black short sleeve t-shirt. 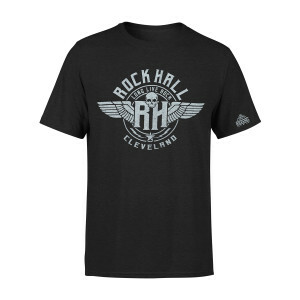 Museum logo on the left sleeve. Super soft tri-blend jersey fabric: 50% polyester, 25% cotton and 25% rayon blend. Athletic/slim fit sizes S - 2XL. Recommend sizing up if between sizes.